The enhanced faculties of the mind have brought man to a raised ground from which it looks down upon rest of the living forms residing on the planet earth. Man’s desire to gain power and control has also made him somewhat in disharmony with nature. Animals on the other hand are more in tune with nature; they mould themselves according to the changes in the environment. This adaptive personality of animals has made them stronger, and more insightful of their surroundings and natural phenomena. There are qualities in wild animals which can teach us life altering lessons. You would think, what these uncivilized beasts can teach us about life. But the way they conduct their lives reflects certain principles that they adhere to. Those principles can be adopted by you in order to improve the quality of your life. 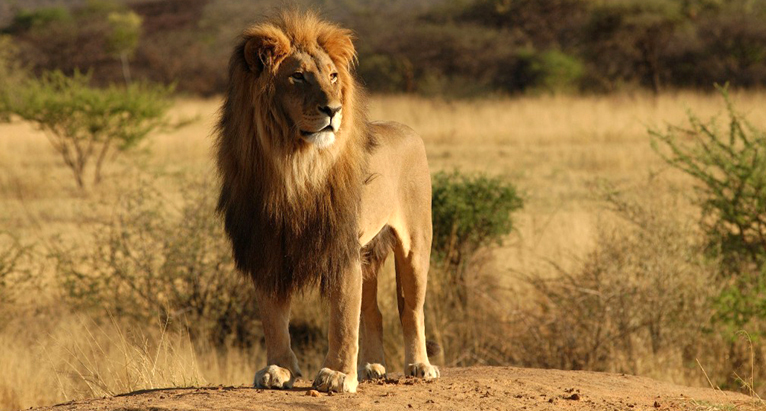 Unlike other wild cats, Lions live and hunt in groups which are known as ‘prides’. These social units normally have fewer adult males, (say two), four or five females and their offspring. It advocates what many of us already knew and practiced; working as a team, creates synergy; by synergy is meant that what a team produces with a combined effort would always exceed the sum of individual efforts of the same team members. But in the current scenario, individuality or the attitude of I, me, myself is taking the sense of our own being to an unreasonable height. If you want to be a leader like the lion, first learn how to gel with people around you. It is in togetherness that we learn, grow and understand others and our own selves better. Lions have voracious appetites; still, after satisfying themselves, they just leave whatever remains of the prey. They don’t take the meal along with them, for storing or hiding, in order to satisfy their next pang of hunger. Lions leave it for other animals, the scavengers, who not only survive on dead animals but also help clean the environment. A team needs motivation to continue efficient and effective working. Motivation comes through many ways – good words of appreciation, sharing of profits and giving rewards and incentives for better performance. As a head, you have full hold over your subordinates, however to actually win their support and honest efforts you need to share. Life is short; don’t run so fast in the quest for material things of life that you don’t even have time to take pleasure or contentment from it. Try to strike a balance between your work and your life; don’t merge the two of them together. In a pride, it is the females who go out to hunt, as they are better hunters than the males. But in spite of their big contribution to the hunt, it is the male lion(s) to whom the prey is first offered for eating. Hence, delegating doesn’t make you lose your authority, it just gives you time to take up things that you excel at, like male lions defend the territory of their pride extremely well. No one can do everything, and distributing duties only makes things simpler and better managed. Compared to other animals of the wild, the survival instincts of the elephants are not that sharp. They gradually develop it by following their elders. An elephant herd is lead by an older female; she is the one with most experience of living, and thus is more knowledgeable. It can be applied to human situation as well. We are born with even lesser instincts of survival. People older to us are the ones who have seen more life than us and tackled more situations; if they have mishandled them even then they can guide us with the knowledge of what not to do. Learning from others mistakes saves you time and energy. There is a good saying based on elephants general behavior, it goes like this – “the elephant keeps walking while the dogs keep barking”. You might also have noticed that an elephant has got a very hard skin which is at least one inch thick. A symbolic lesson can be taken from this physical characteristic of the elephant, that is, we should develop an invisible thick skin and should not get bothered with everything which is being said about us or to us, but yes constructive criticism should always given heed to. The elephants greet each other by caressing or wrapping their trunks. At the time of disciplining a young one, the elderly elephant may resolve to give a trunk-slap or kick to the fellow. It is through touch that they show love, friendship and concern. Human forms of touch include handshakes, hugs and kisses, which not only strengthens relationships but also relieves stress. A touch is capable of transferring those emotions across which the words lack the depth to convey. As per one of the teachings in Geeta (a Hindu scripture), ‘one should do one’s duty and not bother about the results’; this can be best exemplified in the behavior of freshwater turtles. They lay their eggs on the land, inside holes which they dug up in sand or mud, and then cover them to incubate. After covering them in mud or sand, mother’s duty is over. They never return to see the eggs ever again. The hatchlings are on their own from the day one; they live out their own struggles that start right from having to break their own shell, digging the sand to come out on surface, to finding their way towards the water while the predators wait for them both over and under the surface of water. A mother leaving her unborn eggs for good, it is something which you would find hard to digest as a human, but it’s their way of life. You can learn a lesson in duty from the mother turtle, a duty which she diligently performs, even when she knows that she wouldn’t get anything in return – no love, no affection; not even a thank you. The lone fight for survival starts the very moment the turtles come out of the eggs, demonstrating that one needs to live life no matter how hard the circumstances might be. So never give up, and keep fighting! The giant bodied, veggie eating hoofed mammal can weigh up to 1800 kg, but their weight gives no problem to them when they run at a speed ranging from 30 to 40 mph. There is a fact associated with this run which makes rhino a little more interesting and worthy of our attention. 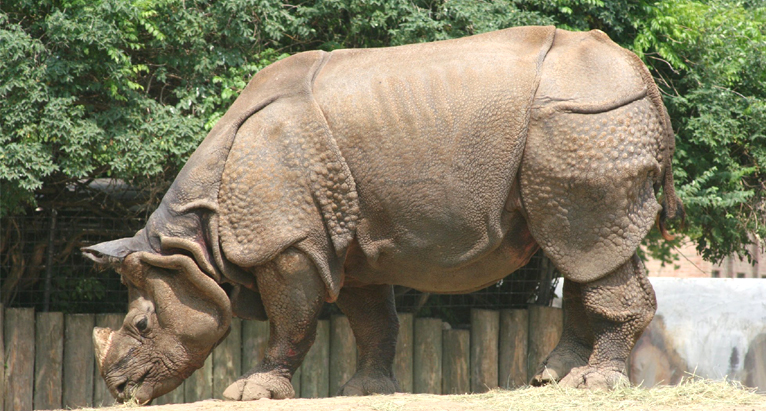 Rhinos can’t see beyond the distance of 30 feet. That means, while it is running at a speed of 30 to 40 mph, it is actually unaware of what things it is going to encounter after 30 feet of its vision. But that doesn’t really deter it. The biggest fear among human beings is the fear of the unknown. They try to predict the future through science, if that fails they try to seek answers in religion, astrology, numerology, tarot and what not. A rhino gets off having courage and faith in itself. Doubts and apprehensions only work to deplete our strength. Not doing something out of fear of future outcome may protect you from the probable failure, but it would always haunt you in the form of regrets and a less than successful life. Humans need to step down from their assumed high positions and learn from every living or non-living thing around them. Even a rock can inspire you if you take a good look at it. But first of all, be humble, only then you would be able to see the beauty and greatness of things that are around you.